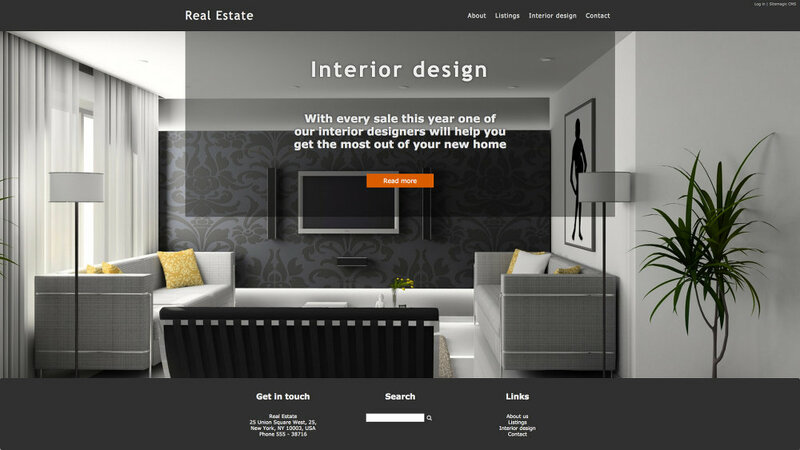 Sitemagic CMS ships with several high quality design templates. They are all highly customizable using the Designer, and they all have demo content you can install if you don't want to start from scratch. To change the design, first make sure you are logged in and then go to Admin > Settings. Select a design and click the Save button (see image below). 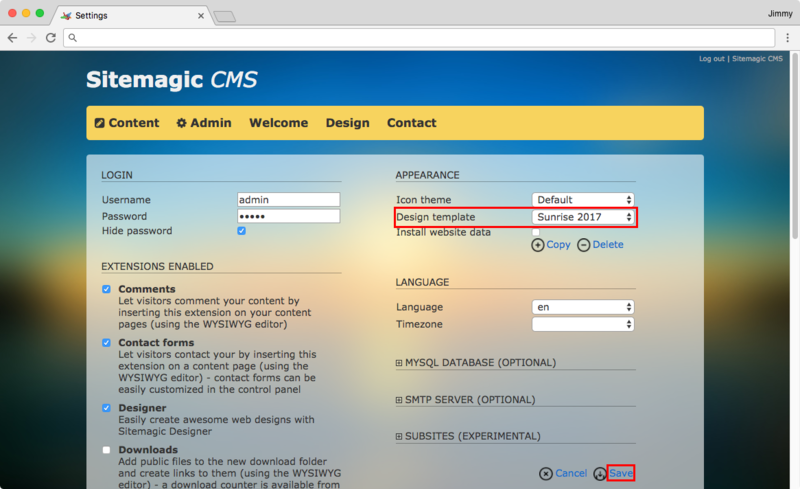 Notice that Sitemagic CMS will warn you that "You are about to install the website data associated with the selected design template". This is because Sitemagic CMS automatically checked the Install website data option below the design picker. 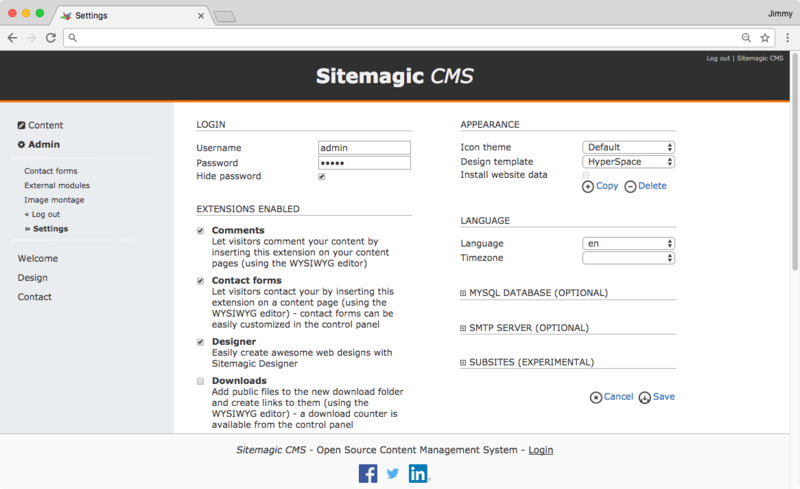 This results in Sitemagic CMS automatically installing some demo content and optimizing configuration to that particular design, to help you get started. Naturally you should uncheck this option to prevent Sitemagic CMS from replacing the existing content if you would like to keep that. 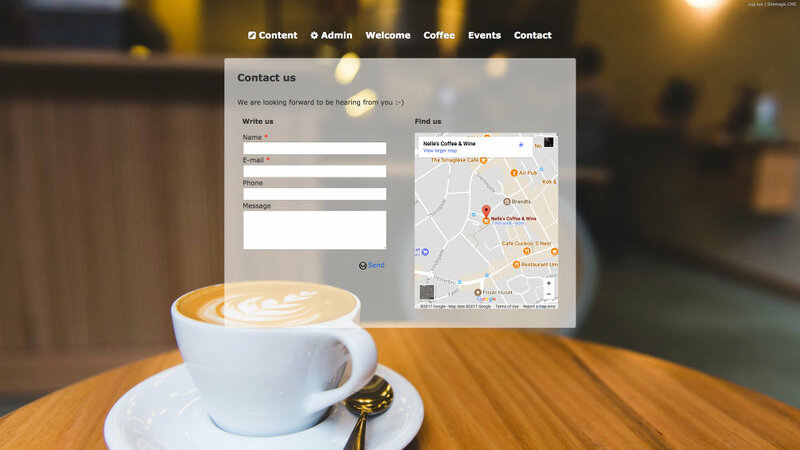 When you change the design, you change it for both the website and backend (control panel), so the change is visible immediately after clicking the Save button. 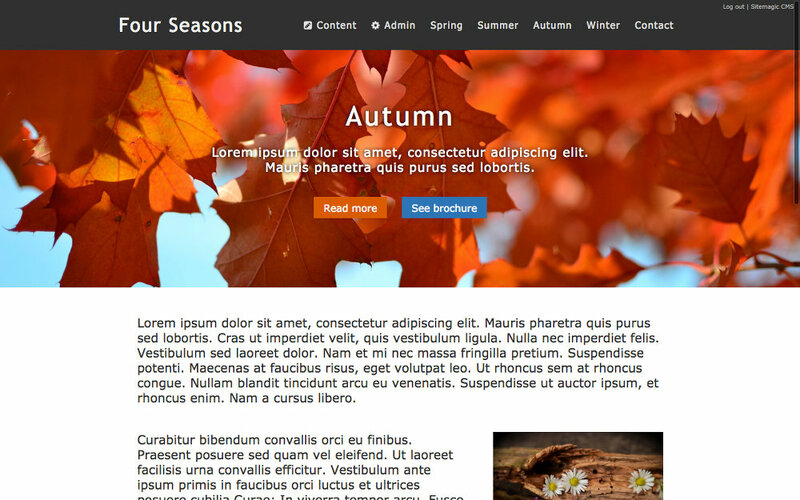 Now continue with How to customize a design to make the newly selected design just right for your website. If you on the other hand is already satisfied with the existing design, then continue reading about how to add content.